I loved reading with Dani and Myra! 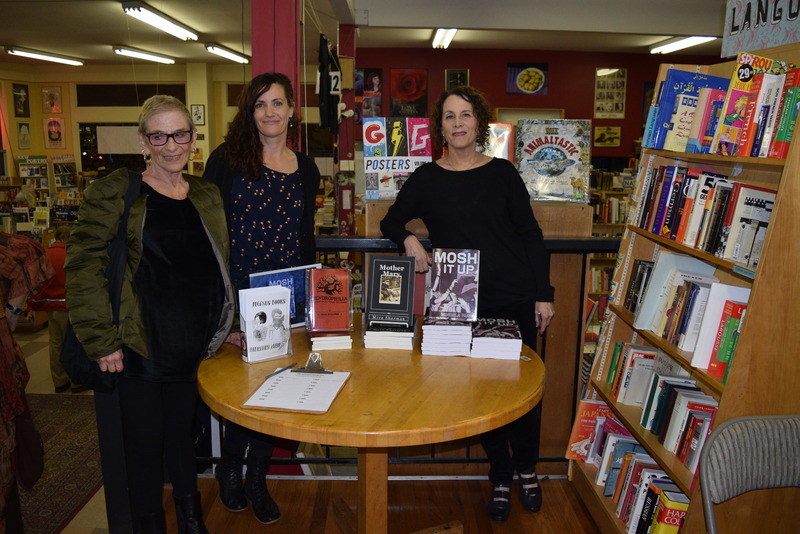 Here’s the book table from my Mosh It Up launch event at the wonderful Pegasus Bookstore in downtown Berkeley, and the three of us readers posing! ← Kindle Sale Nearing Its End! Oakland Beast Crawl Rolling Through The Ages show coming up 9/2!